This week on ‘The Writing Life of:‘ I am thrilled to be interviewing author Lynda Stacey. 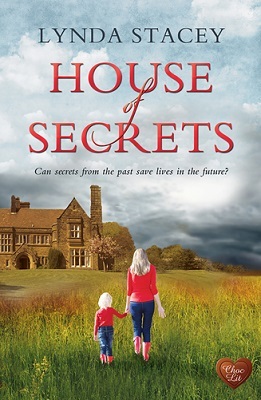 Lynda will be sharing with us detail of her writing life, telling us all about her latest book ‘House of Secrets’, which was released on 4th July 2017, and answering a few fun questions too. Initially I wanted to be a nurse, but spent many hours writing stories and from a teenager the idea of being an author has always been at the back of my mind. At the age of 14. My English teacher pulled me to one side and suggested that I seriously consider doing something to do with writing as a career … it only took me 30 years to follow his advise. To be fair, I didn’t. I’ve done many things in my life and my ultimate job was as a scuba diving instructor. I loved taking people into the water and teaching them from their very first breaths, right through to being instructors themselves. But, I was in a car accident, my right arm was compromised and I couldn’t teach anymore. The last thing on my agenda was to watch TV soaps, so I began writing again. 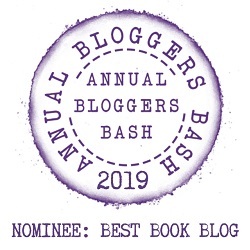 I took it seriously and joined the Romantic Novelists Association where I met some fabulous authors who have all been very generous with their advice. My writing day… lol … I don’t really have one. I’m a full time Sales Director for a stationery and office supplies company. So, my writing has to fit in as and when I can. I also can’t force the words, some days they come automatically, other days it’s like pulling teeth. No, never. I’m proud of what I do and if I’m honest, there are days that I’m so busy I forget who I am … if I had two names I’d end up in a bit of a pickle. Not that I know of, maybe you should ask my husband. I use an iMac laptop. My brain works too quickly for me to write long hand. If I did, a day later, I’d never understand what I’d written. I’ve written four books. House of Secrets, Tell me no Secrets, which are published. I then have House of Christmas Secrets and Twisted Secrets, which are both to be published with Choc Lit very soon. Very much a panster… my characters do what they want, whether I like it or not. Yes, I read the reviews. My strategy with the bad ones is to pour a glass of wine. Thankfully there haven’t been too many, so I’m still relatively sober. It took around three years. Around a year to write, a year of submitting and another waiting for all the edits, covers etc to happen. I have no idea, they just come to me. The name has to sound right. Madeleine is a single parent after her first husband was killed in a car accident, but she’s a strong character and soon finds her feet, albeit she makes a few bad choices along the way. And Bandit, he’s an ex-marine with an overprotective nature. Oh … and he’s gorgeous. .. did anyone tell you how gorgeous he is!? All of them. I take each scene very seriously and try to put as much into them as I can. It was a joint decision with Choc Lit, my publisher. Yes. I have a sister in law who is brutally honest, along with a cousin who is happy to tell me exactly how it is. I’m lucky to have them both. I entered the Choc Lit Search for a Star competition and won it. I held my breath while my family members read it. I’m looking at working on a project very close to home that involves the archaeological mysteries of The Sand House in Doncaster. I love the past and feel that having an archaeologist heroine would be fun. You can find out more about Lynda by visiting the website/social media sites below. I would like to say a big thank you to Lynda for sharing with us details of her writing life, and for a wonderful interview.